I have recently started offering an extra service on all of my weddings, aerial photographs of the wedding venue and guests. 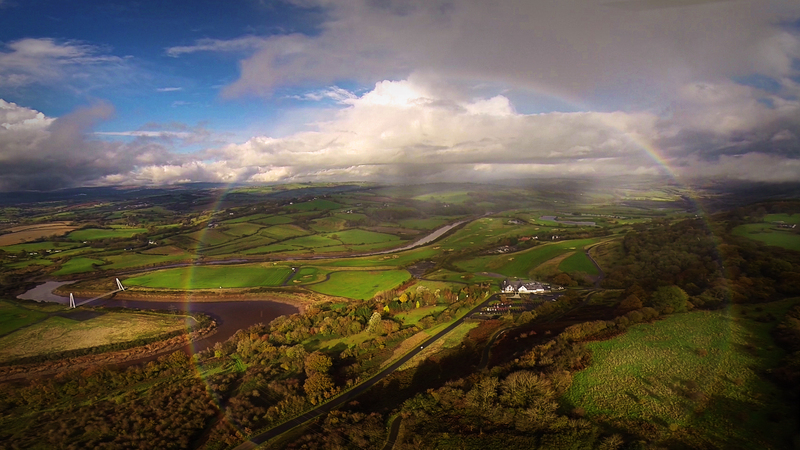 My sister company Aerial Photography Wales offers incredible aerial images using the very latest drone technology. At my weddings, after the group photographs and official bride and groom photographs have been taken, there is usually a little time for the guests to relax and mingle outside the wedding venue. I will use this time to fly one of my UAVs (Unmanned Aerial Vehicles), better known as Drones above the venue and capture some images from the air. This is an amazing way of capturing an your wedding day from an unusual angle. All the photographs will be edited and supplied to you on you wedding USB along with the other wedding photographs.